My brother-in-law, Oliver Garcia, gave me this gastronomic idea of melting some quickmelting cheese over my hot cup of rice. You may just top the cheese over some hot cup of rice or microwave the cheese and rice. I thought it would be perfect with some grilled slices of honeycured bacon. 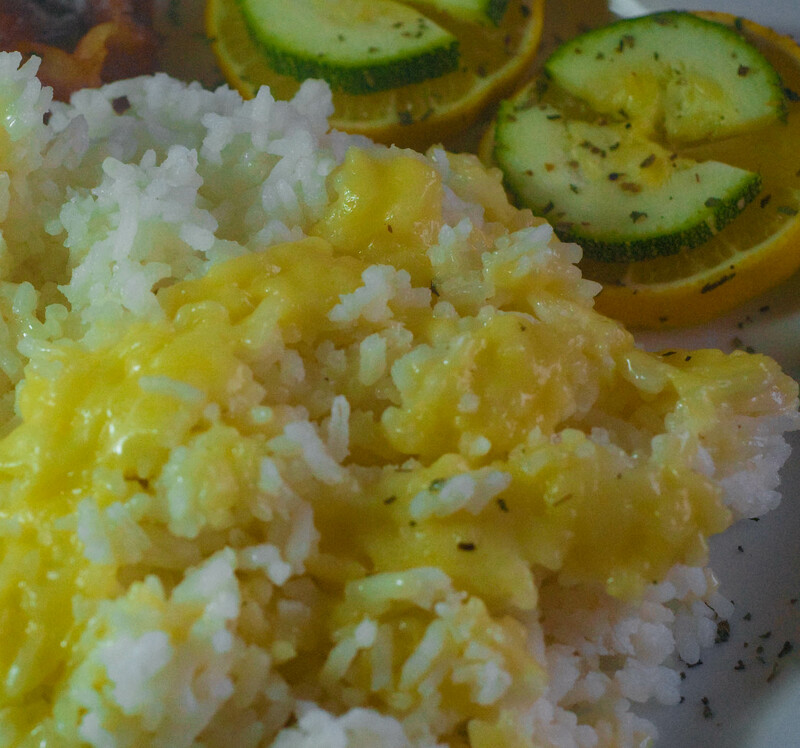 Cheese, rice and bacon– just spell awesome comfort food. Why, it just had me gobbling up everything on my plate. Fast, easy and totally delish, it’s definitely worth trying.